Lol. Thank you. I didn’t think it was true. This person must have thought rain was snow. Never trust a clipper! If it’s not a classic gulf low tracking ne then I don’t want to hear about it. 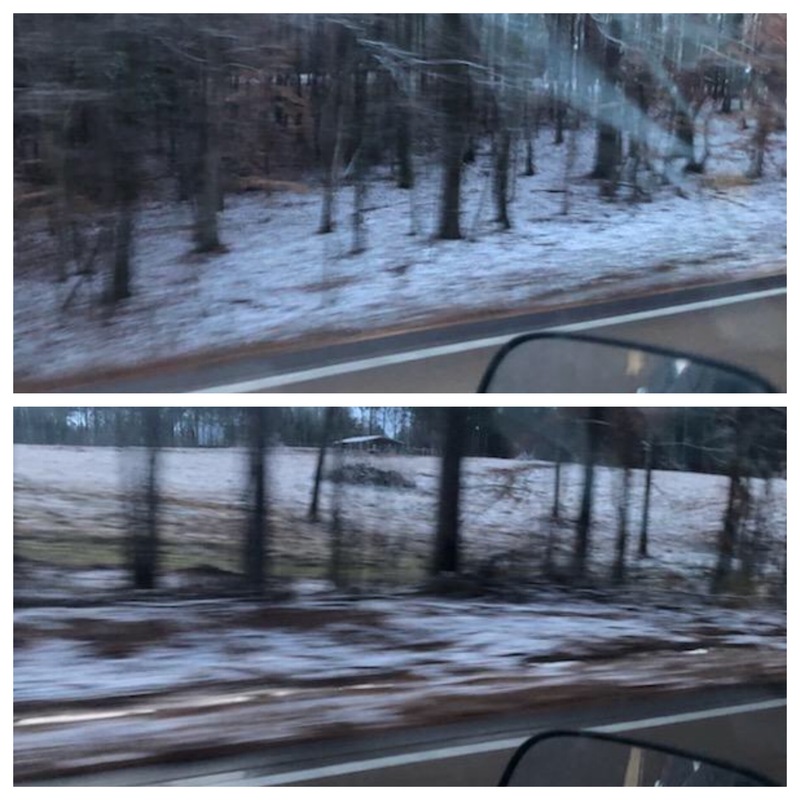 I read on Facebook that is snowed heavily in Birmingham for two hours, but there was no accumulation. Is that true? Was there acutually a heavy snow for two hours? There were some big flakes flying around for an hour or so I guess. It was snowing big fat flakes about 5AM when I got up and checked, but could tell from a radar loop it was about to end so I went back to sleep. Rates were a lot lower than I was expecting based on the radar returns when it swapped over. After today’s system, I’m not seeing anything but NW flow for at least a week. Looks like only shot at anything is a clipper system, which leave more disappointment than anything else. Remember last week when people were posting ridiculous snow maps...pattern wise, it was suspect. Should’ve stuck with my initial thoughts on this system. This was definitely a bust for Alabama and the Georgia mountains. We initially had numerous problems for accumulating snowfall here in the Atlanta metro/North Central GA area, and those were never resolved. QPF concerns, lack of cold air, warm soil temps, etc...everything worked against us. I'm looking forward to the warm up next week! Man what a disaster so excited for snow now boring weather... any chance any exciting weather is coming soon severe storms? Anything? Im going on a cruise february 14th as sad as this sounds i hope we hit some interesting weather in the gulf should be fun. Just wanted to welcome you to TW! Thanks for becoming a member. Not to get too off topic, I've actually been watching long-term climatic signals lately and I've been wondering about this. I think we may be switching patterns from a multi-year colder pattern to a multi-year warmer and stormier pattern, similar to the flip we experienced from 2014 to 2018. Only time will tell if that's true, but there have been flips like this in the past and I think we may be coming up on one. Generally speaking once the flip occurs, we struggle to get many snow events for a few years but we'll get more severe events and vice versa when we flip the other way. I will say it seems the winter weather events have been less and further apart for sure for alabama at least. Thank you for the welcome ive always had a fascination with severe weather most people like the boring sunny days at 75 but i like the more exotic girls. Generally speaking, what we experienced in 2011, 2014, and 2015 is relatively rare and not something you often see 3 times in 5 years. Not to get too off topic also but rolltide. Nasty mixed precip as I was leaving the office in DC but I’m guessing it’s all snow up at my apartment by now. Yep. Changed over to all snow up in Maryland and starting to accumulate. With another band moving in it looks like the 1-2” forecast should be right on target. Can’t attach photos from my phone for whatever reason. Throw in 2017 for Central AL as well. 2 big multi-inch snowfalls. But that Jan-Feb stretch of 2014 was winter not seen in Alabama in decades. The late 90s was the last time I remember having multiple events in back to back years. I’d have to go back and look for Huntsville but I think 88,93 were almost a foot then 95-96 maybe had a couple 3-4 inchers. I feel like there was a long fraught between those and the 2010-2011 Christmas/NYE surprises. Yes this is closer to the norm. I don't want to be a downer but anyone here who got interested in weather as a result of the winters from 2011 to 2015... you may be waiting a while for another event like that if the pattern is indeed changing like data says it may be. It took until I was 12 to see my first substantial snowfall, and I've been in one place my whole life. For the first 12 years of my life, it was a minor dusting or so once every 2-3 years and LOTS of severe weather events, some minor and some major. Not aware if you’re data so no reason to dismiss it or anything but despite this season, which has been seasonalble so far, I am expecting some cold snap and big winter events during the next three to six years.